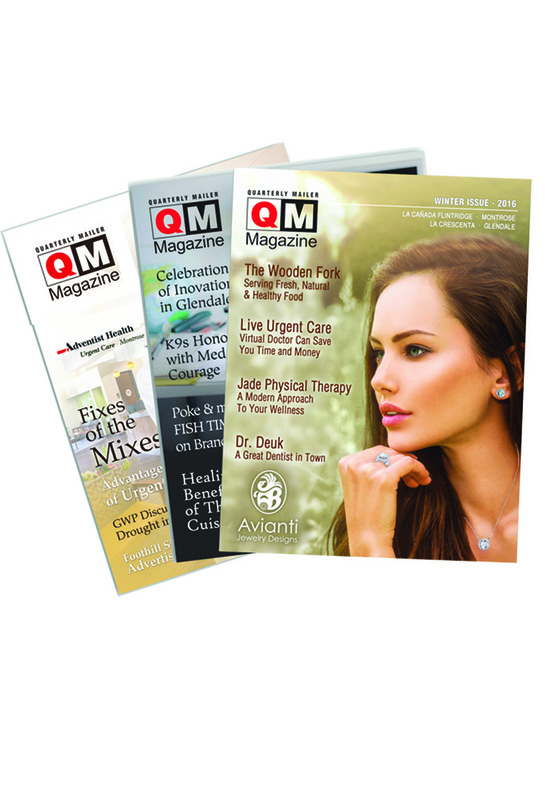 Quarterly Mailer Magazine is a full color, high-gloss quarterly magazine. It is published for the Glendale, La Crescenta, La Cañada Flintridge and Montrose. It is the only magazine of its type in the area to provide promotions for local businesses and editorial information as well. The QM Magazine is sent to over 28,000 residences and businesses every quarter. There are newsstands throughout the cities featuring the magazine free to the general public. We reach an estimated 250,000 local residents.